Here you will find alternative fanfiction and eventually, origional fiction. While writing my first story, my subconcious demanded her own pseudonym, Bronwyn of Llewellyn. Please read the disclaimer before starting on the tales. By clicking on the picture of the castle below, you will open the disclaimer window. Rhiannon, one of the daughters of the Iceni Queen, Boadecia is thrust into an adventure that takes her leagues away from home. Fortunatlly for her, she couldn't be far away enough from Britannia. The life at her mothers' court and her aunt's plans to make her a High Priestess of Avalon do not appeal to her at all. With the help of some of my favorite XWP charactures, she manages to stay busy! If you liked seeing Velasca pisssed-off, this is a tale for you. Part two of Rhiannon's adventure. The whole gang is here; Xena, Gabrielle, the Amazon's and a few more historic and mythological charactures cross her path. This time, Rhiannon is confronted with the darker side of her family herritage and struggles with herself. 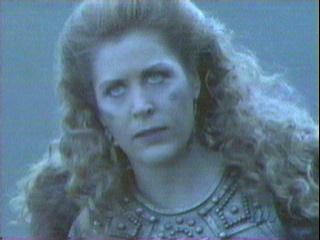 Xena, who taggs along to ease her worries and consience, battles it out with a few of her own demons... or are they? Part tree of Rhiannon's global antics gets her deeper involved in Britannia's troubles than she bargained for. Putting all her hope in her Goddesses and her best friend Xena, there seems to be light in the dark, after all. What does an Elfling do, when her new tribe has a hard time accepting who she is?